Protect your ears from the harm of deafening noise while firing guns with Peltor Sport Tactical 500 Electronic Hearing Protector. Experience protection partnered with other useful functions upon using this hearing protector device. The Peltor Sport Tactical Electronic Hearing Protector has targeted NRR of 26dba for passive sound protection. Aside from this feature, the gunshot muffler has 3M technologies. This allows the users to suppress gunshot noise and at the same time amplify low sounds. This enhances the user’s sensitivity to faint noise and therefore improve performance. Not only does this hearing protector guard the ears against harmful loud noises, but has a systematic way of adjusting its sound muffling capacity. All these are possible with gunshot recognition and suppression technology. Through this technology, noise protection is optimized according to the firearm being used. Another factor that is put into consideration with this technology is the environment where it is used. The voice within the noise is detected with the help of the clear voice-tracking technology. This hearing protector also utilizes Bluetooth technology to synchronize it to mobile devices flawlessly. Given this feature, users can make and receive phone calls using the headset. As for its comfort, users can guarantee optimal fit and comfort. Regardless of the size of the user’s head and ears, this hearing protector promises excellent comfort and perfect fit. Also, users can adjust the size of the ear muffler according to their size. Users can also take this hearing protector anytime, anywhere in any bag because it is foldable. Despite being big when used, you can keep it even in small bags and cases. Its weight is also that much of a nuisance to the users since it only weighs 1.4 pounds. To make this work, two pieces of AA batteries are needed. Its sound control and loudness control system are sophisticated and more specific. It does not just block harmfully loud noise but also strategically loudens sounds that need to. Noise is optimized when needed for one purpose and muffled when required by another. It has an adjustable set-up to allow perfect fitting for many users, regardless of their different sizes. Its adjustability also makes it easy to bring anytime, anywhere, giving fewer problems to the owner how to carry it. The battery needed for its functioning is easy to find and works for quite a long time. Once the power is drained out, one can still find a replacement for it very quickly. It could be very vulnerable at times. Wearing these hearing protectors too often could result in the parts falling off or disassembling by itself. This will also cause a malfunction in the part of the hearing protector and fail in its purpose. While the product disassembles by itself, the dissembled inner parts of the hearing protector are the ones that heavily manifest the damage. Once this damage is done, customers might find it hard to fix it and fail to use it functionally as intended. The comfort it offers is sometimes not suitable for people who are not within the adjustable range. This happens when their sizes are either too small or too significant for the minimum or maximum adjusted size. The Peltor Sport Tactical 500 Electronic Hearing Protector is ideal for target-shooting and hunting enthusiasts. Given the protection and sound muffling it gives are good enough to protect the ears from such conditions. It provides specific protection for each demand of the situation as well. This is possible since the mechanism of the hearing protector is characterized by a gunshot recognition and suppression technology. In addition to that, this hearing protector device has a clear voice-tracking technology that enhances its function. While this equipment protects one’s hearing, it also enhances one’s phone call experiences. With its Bluetooth feature, your hearing protector gives your money more value for a device with just one function. As for its durability, the customer needs to think twice about picking this one. They have to consider the frequency by which they have to use the hearing protector equipment. Considering the reviews on how short-lived this product can be when frequently used, one needs to be more than sure of buying it. Designed for indoor or outdoor use; Foldable and adjustable. 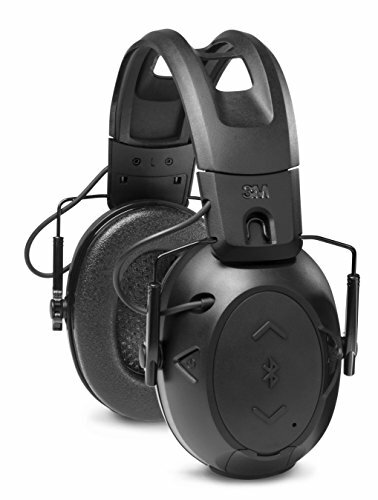 The Peltor Sport Tactical 500 Electronic Hearing Protector is one excellent find for those who are into target shooting. Its hearing protection qualities and features ensure maximum protection without compromising the comfort and well-being of the user. It does not just protect through blocking out sounds but also through identifying the kind of environment it needs to work on. It also can determine the gun that makes the sound and makes appropriate adjustments for maximum protection and convenience. This hearing protector is also highly-recommended for hunters. Given the use of guns in the process, their ears also need protection. Apart from that, this equipment is also recommendable for these people since it has a sound enhancement feature. With this, they can hear clearly, even those inaudibly soft sounds that animal preys make in the forest. While it is highly recommended as a hearing protector apparatus, this device is also a good find for those wanting enhanced phone calls. Having a Bluetooth feature that could impeccably synchronize with mobile phones, this can be used as a sound channel. All that these people need to keep in mind is that they should take extra care of the apparatus since it can easily give up and disassemble on its own. Taking into consideration its protection capacities, the Peltor Sport Tactical 500 Electronic Hearing Protector is an excellent product to try. It has very convenient and very beneficial features that one must have in hunting or gun-shooting activities. However, a potential customer must be well aware of the downside of the product, which is the lifespan of this product. Extra precautionary measures must be observed while using this product to ensure maximized lifespan. Despite such downside, this product offers the best, efficient, and multi-purpose functions that one can enjoy.